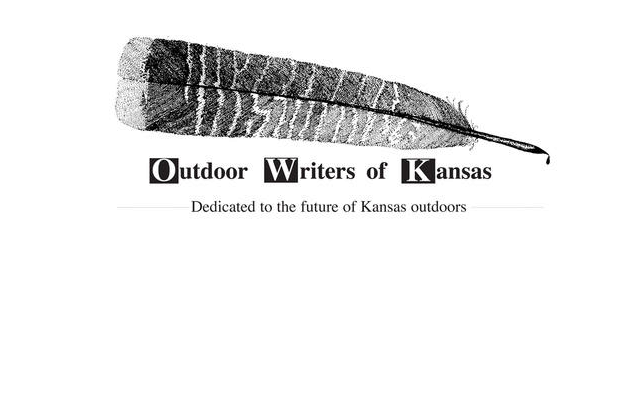 The Outdoor Writers of Kansas (OWK) organization recently donated $1,000 to help purchase hunting and fishing licenses for Kansas disabled military veterans. OWK challenges all organizations to match or beat their donation. Each fiscal year, the Kansas Legislature appropriates funding to the Kansas Department of Wildlife, Parks and Tourism (KDWPT) to provide hunting and fishing licenses for Kansas military veterans with service-related disabilities of 30 percent or more. Initially the funding was adequate, but as the number of veteran license applications has increased, the funding has run out before the end of the fiscal year. When that happens, KDWPT uses donations to pay for licenses. Currently, there are several hundred unfilled veteran license applications awaiting funding. Anyone can donate, and hunters and anglers who purchase licenses online can check a donation box. Any individual or organization interested in helping can mail a donation made out to WildTrust, specifying the Disabled Veterans License account. Checks can be mailed to KDWPT, c/o WildTrust, 512 SE 25th Ave., Pratt, KS 67124. Visit www.ksoutdoors.com/License-Permits-Veteran-Hunting-and-Fishing-Licenses for more information. OWK is a nonprofit professional organization made up of members dedicated to communicating about Kansas’ hunting, fishing, and other outdoor and wildlife-related recreation. Members meet twice a year and raise money to send youngsters to the Kansas Wildlife Federation’s Outdoor Adventure Camp, purchase equipment for the KDWPT Pass It On youth program, the Steve Harper OWK/Kansas Wildscape scholarship, as well as other outdoor programs.